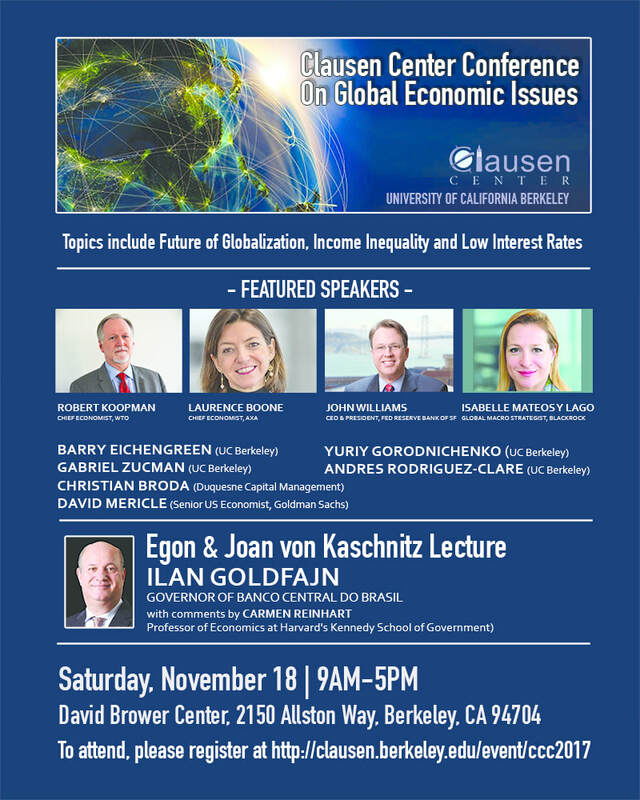 This invitation-only event examined the challenges faced by emerging countries, especially Latin America, the future of globalization for emerging and advanced economies, the policy challenges posed by rising income and wealth inequality and its causes, and the challenges to the conduct of monetary policy in a world of low natural real interest rates. Rockmount Financial Corporation is pleased to announce the appointment of its President, Russell Kalmacoff, to the Advisory Board of the Clausen Center at the University of California, Berkeley. The Center was endowed by Tom Clausen, who was President of the Bank of America and President of The World Bank. It’s mission is to bring macroeconomists and central bankers together to engage on financial issues of critical global importance. Rockmount shares the Board with representatives of BlackRock, FranklinTempleton, AXA(insurance), and Duquesne (private equity). Clausen is led by Pierre-Olivier Gauringhas, Professor of business and economics at Berkeley, who has been writing the newsletter of the International Monetary Fund. 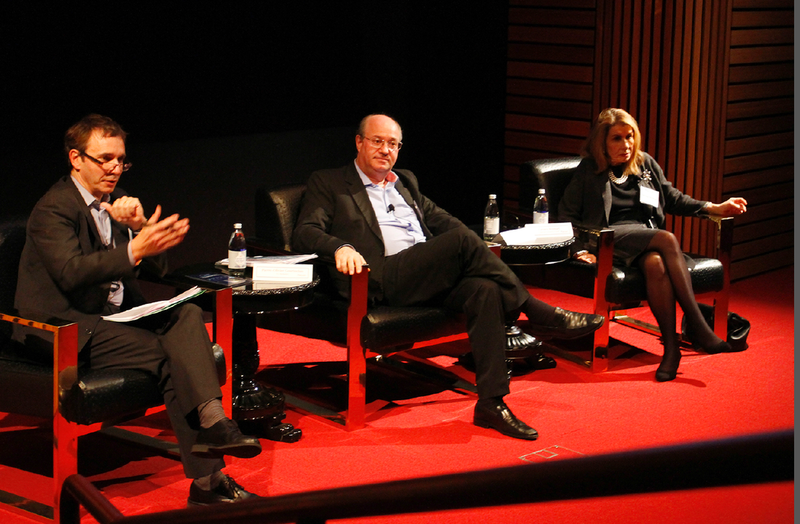 (Left to Right): Pierre-Olivier Gouringhas, Professor of Economics, and of Global Management, Director of Clausen Center for International Business and Policy, UC Berkeley; Governor Ilan Goldfajn, President, Central Bank of Brazil; Carmen Reinhart, Professor of the International Financial System, Harvard Kennedy School. As we Albertans look east and west for signs of encouragement in our efforts to turn around our economy, I also recommend looking south, to the San Francisco Bay Area, a place of boundless optimism, where ideas and capital are intersecting in an unprecedented way. Over the past 15 years Russell Kalmacoff and Rockmount have taken a multi-pronged initiative in this regard. We’d be glad to share this experience with you in 2018.